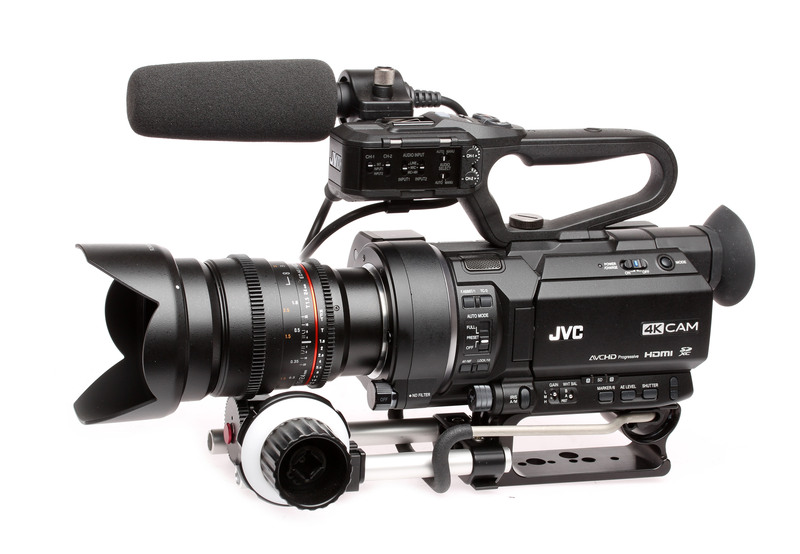 Hybrid Camera Revolution: 4K JVC GY-LS300 Super 35 camcorder in stock now! Although it is still on pre-order for $3995 at Adorama, if you need a 4K Super 35 live streaming camcorder right now, you can get the JVC GY-LS300 from Electronics Basket via Amazon. This is the least expensive interchangeable lens Super 35mm camcorder you can buy with a camcorder style body, power zoom compatibility and XLR inputs - plus built-in 1080p live streaming. Please keep checking back here - I will rent one of these as soon as I can and shoot a side-by-side with the GH4 for you to take a look at.